One day he went hunting, leaving his newborn son at home in the care of an inattentive servant. Upon Llywelyn’s return, he was greeted at the door by his favorite hound, Gelert. The dog was covered in blood and Llywelyn’s son’s cradle was empty. Believing the worst, Llywelyn drew his sword and, in a rage, killed the dog. As the hound’s final yelping died away, Llywelyn heard the faint cries of his baby son, lying unharmed beneath the cradle. Nearby was the body of a dead wolf. Gelert, the hero, had defended the baby and killed the wolf. Overcome with remorse, Llywelyn buried his faithful hound with great ceremony and, so the legend goes, was never able to smile again. Llywelyn the Great, unsmiling, greeted me as I stepped from the train in Conwy. Through constant warring and peacemaking, Llywelyn ruled Wales from 1200 until his death in 1240. (It may have helped for a while that he was married to King John of England’s daughter.) A colorful statue of Llywelyn dominates Lancaster Square in front of Conwy’s train station. Wales is the size of New Jersey with a population of over three million. A country within the United Kingdom, Wales is also recognized as one of the Celtic nations, areas where Celtic languages and cultural traits have survived. The others include Cornwall in England, Ireland, Scotland, the Isle of Man and Brittany. When I arrived at Gwynfryn House in Conwy to check in, the owner, Monica, seemed a bit perplexed. Apparently, I had reserved the wrong dates. Fortunately, she had one room left and was able to accommodate me. I apologized for bungling the reservation. 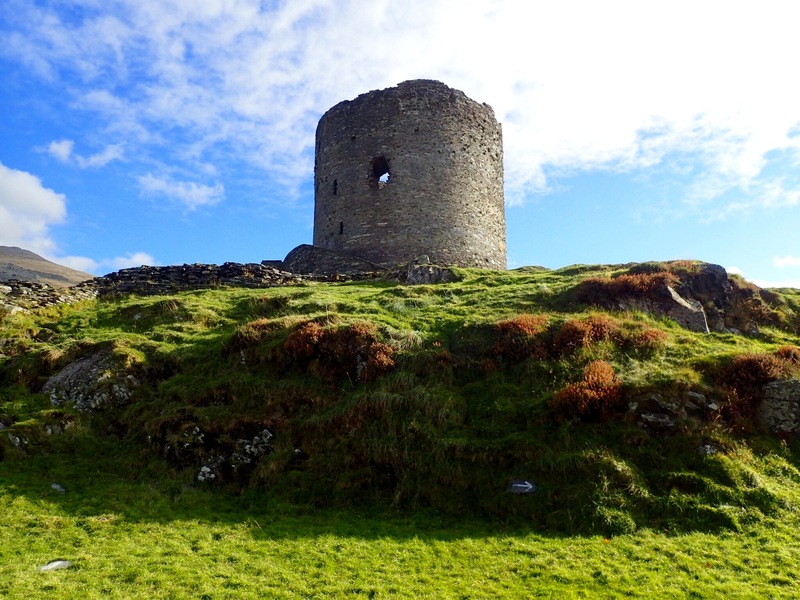 Edward, also known as Longshanks (due to his height) and the Hammer of the Scots (not due to his carpentry skills), put down a Welsh rebellion in 1283 and then built a chain of castles to protect his acquisitions. Over the next few centuries, Conwy Castle played a role in several wars. It is the quintessential medieval castle. 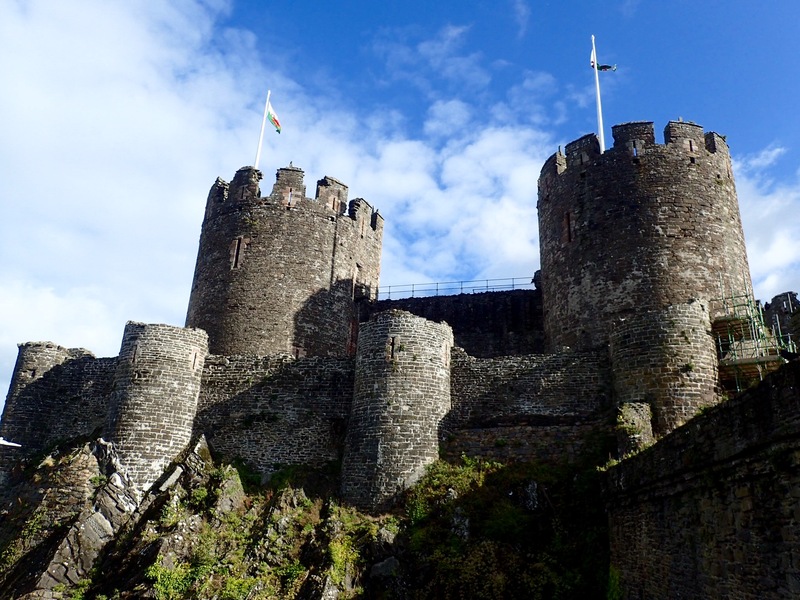 With two fortified gateways, eight towers, a great hall and a gate to the river, Conwy was one of the most formidable military castles in Europe. Remarkably, it was built in just four years. 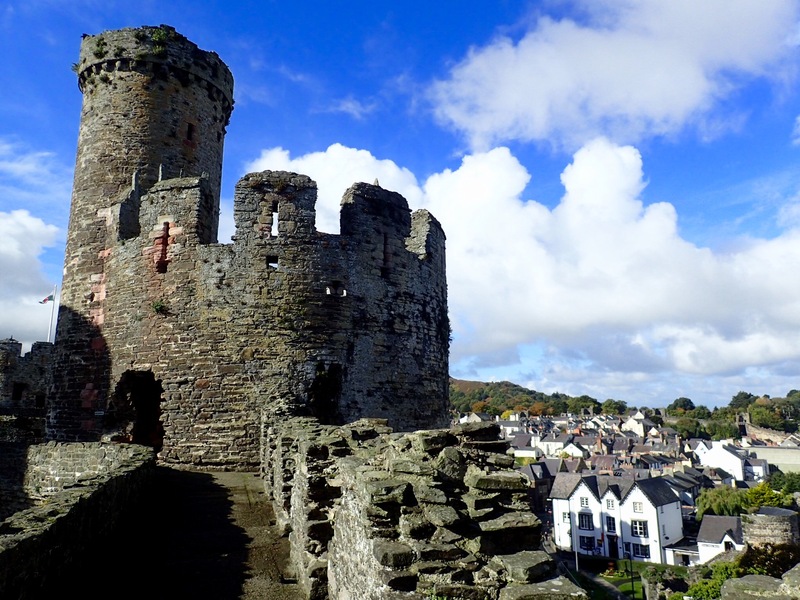 Along with Edward’s other Welsh castles, Conwy is a UNESCO World Heritage Site. The adjoining medieval town walls, erected in conjunction with the castle, are some of the most complete in Britain. I walked along the top of them, tower to tower, three-quarters of a mile in length. Once the town was walled, Edward kicked out the Welsh and settled the English. Those born within the walls of Conwy are called “jackdaws,” after the indigenous crows. Conway’s narrow Old-Town streets, lined with tea shops, bakeries and pubs, are always busy with pedestrians. When I visited, uniformed school kids swarmed the town on a historical scavenger hunt. Pig carcasses were hoisted by hand out of a refrigerated truck and carried to the backdoor of a butcher shop. On the harbor by River Conwy, people picnic, shooing away rude seagulls. 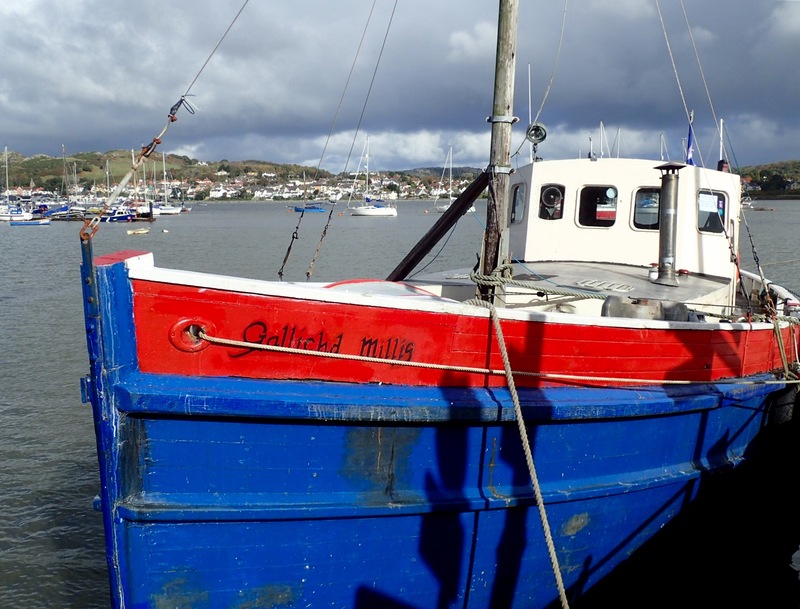 Conwy was once a busy port. Slate, brought downriver from the mines, was loaded onto ships and transported to Europe, where it roofed the entire continent. At a shop on the quay, fresh mussels are washed, sorted and bagged. The local fishermen harvest them the old-fashioned way; that is, gently with hand rakes up to thirty-feet long. This more sustainable method produces larger meatier mussels, proudly served by the local restaurants, usually in a cheese sauce. Still on the harbor, I visited the so-called smallest house in Britain, essentially a sixty-square-feet closet with a fireplace and a ladder to the loft. Its two stories combined are barely over ten-feet tall. Imagine, then, that a six-feet-three-inches-tall fisherman lived in it. The house was occupied continuously from the 1500s until 1900, once by a family! 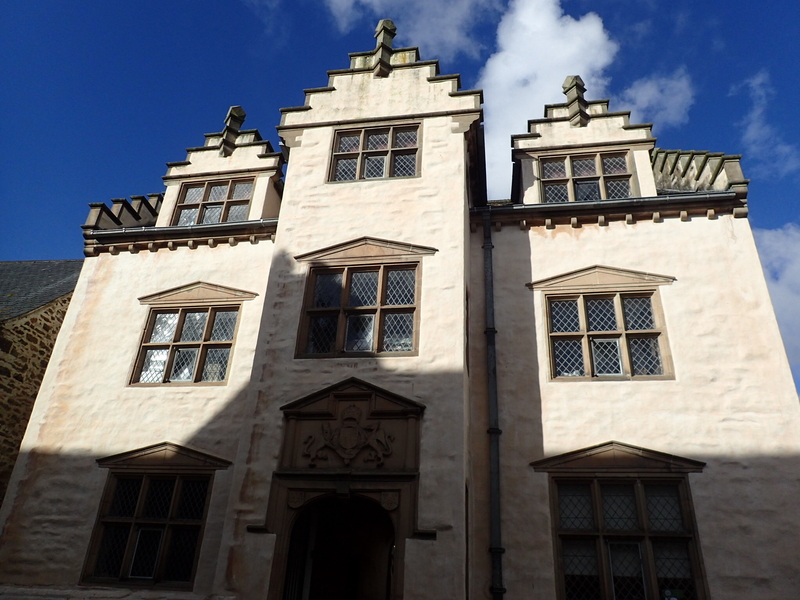 I toured Plas Mawr, a restored townhouse, built by a wealthy merchant during the late 1500s. Architecturally, Plas Mawr is almost unchanged from that time and is considered one of the finest surviving townhouses of the Elizabethian Era. The Church of Saint Mary and All Saints is on the site of an abbey dating to 1172. Edward moved the French monks outside the walls, but kept their church. A tomb in the graveyard containing seven brothers and sisters is marked “We Are Seven.” It inspired William Wordsworth to write his poem, titled the same. I had difficulty picking my way through the bar at the Albion Ale House, as so many dogs were competing for floor space. The pub provides bowls of food and water for its patrons’ pets. The Albion has been voted North Wales Pub of the Year numerous times by the Campaign for Real Ale. Next morning, I ordered Welsh rarebit from the breakfast menu. Seemed like something I should sample while in Wales. I told Monica’s husband, Colin, I’d never had it before. In nearby Llandudno I picked up a rental car and drove into Snowdonia National Park, the gem of north Wales. On the way, I stopped at the Trefriw Woolen Mills. The mill, operating since the early 1800s, buys wool from local farmers and weaves scarves, bedspreads and much more. The entire process, from sheep to sweater, can be viewed–blending, carding, spinning, doubling, hanking, washing, dyeing, warping and weaving. Situated on a fast-running river, the mill generates its own hydroelectric power. 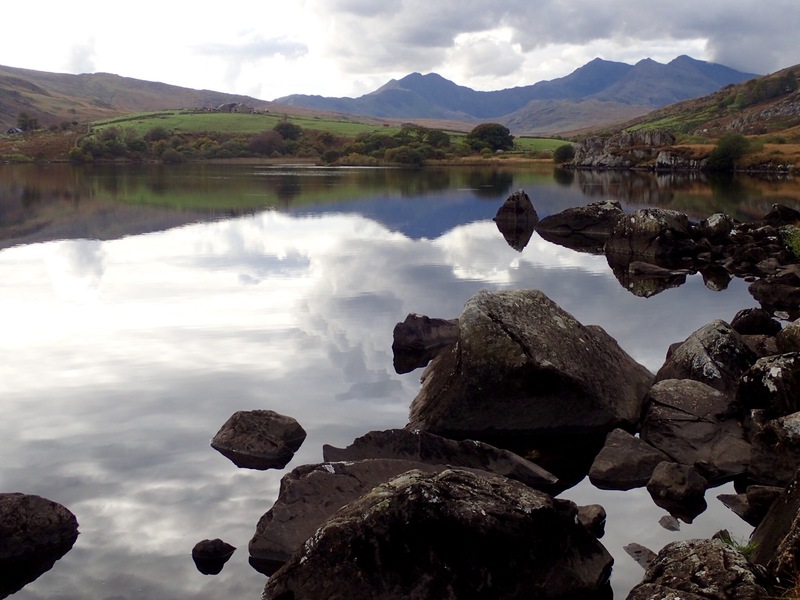 Snowdonia National Park covers 827 square miles with 1,479 miles of trails. Its centerpiece, the tallest mountain in Wales and England, is Mount Snowdon at 3,560 feet. It’s not high compared to, say, California’s Mount Whitney at 14,505 feet or North Carolina’s Mount Mitchell at 6,684, but the terrain in the area is so rugged, Himalayan mountaineers use it for training. I stopped to take a photo of Pen-y-Gwryd Hotel, where Edmund Hillary and Tenzing Norgay stayed while practicing for the first successful ascent of Mount Everest in 1953. 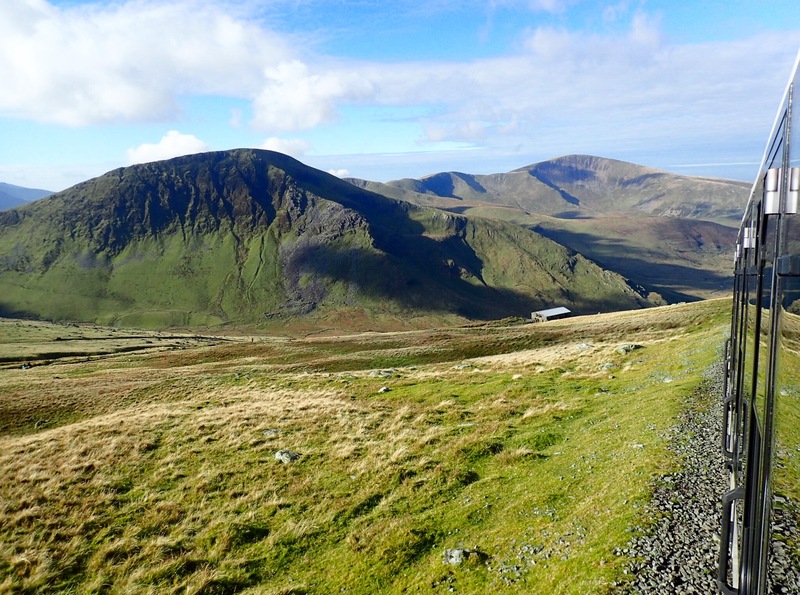 The easiest of the hikes to Mount Snowdon takes from five to seven hours. Each year, a half-million people hike one of seven different trails to the top. 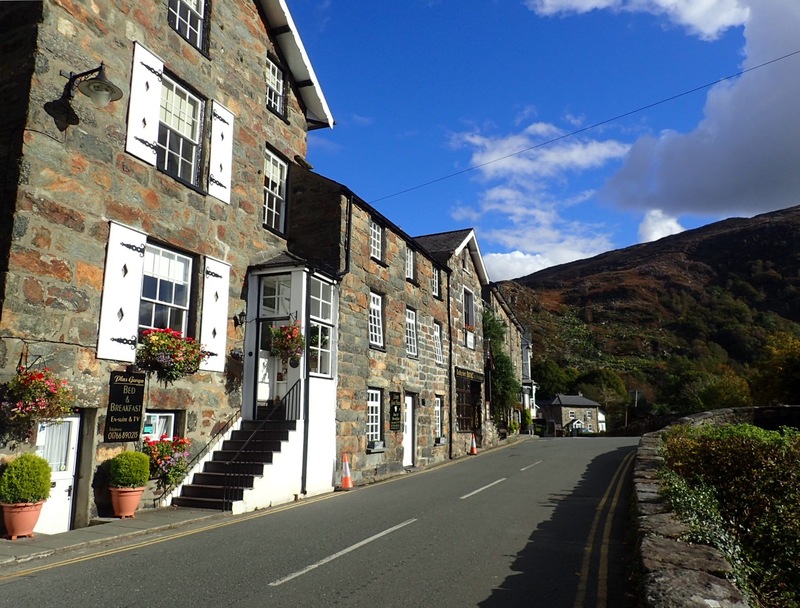 I stayed in Beddgelert, an idyllic Snowdonia village of stone houses on a rippling stream, spanned by an arched bridge, all in the shadow of the mountains. Its Church of Saint Mary was originally the chapel of a Benedictine monastery. Parts of it date to the 1100s. 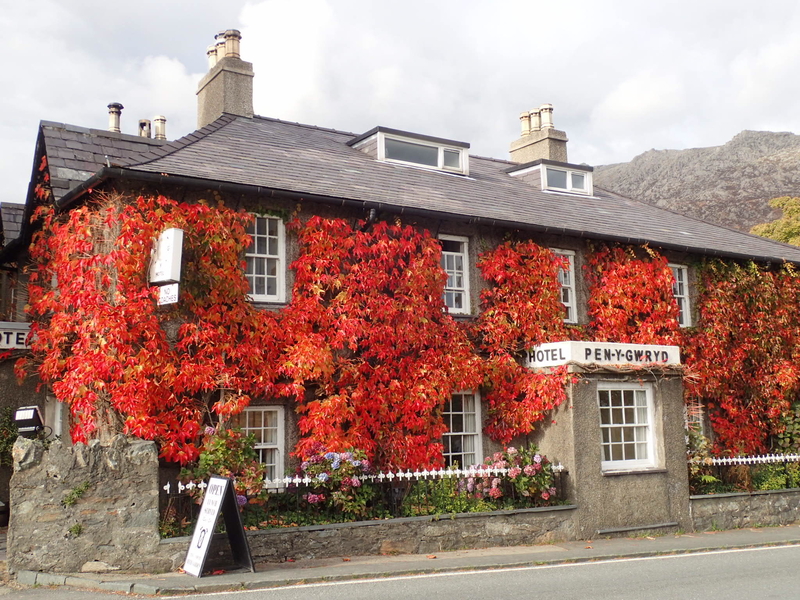 The population of Beddgelert is only a few hundred. It’s a trailhead for numerous hikes and so is flush with well-outfitted walkers. (What Americans call hiking, the British call walking.) I bought a trail map at the TI and ate dinner at the Tanronnen Inn, where a young couple told me about their day’s walk. 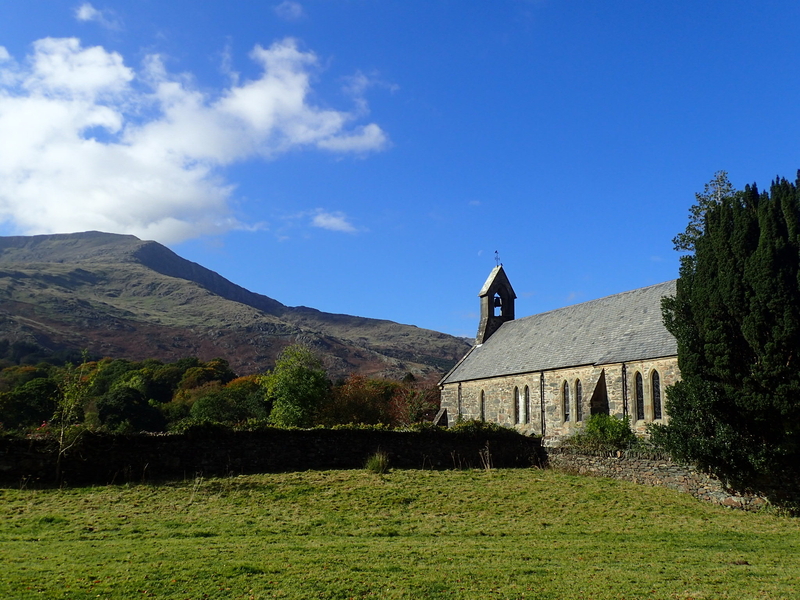 The town name, Beddgelert, is Welsh for “grave of Gelert.” Or is it? According to local legend, Gelert, Llywelyn’s heroic hound, is buried in the village. The grave site is well-marked with a tree, some standing stones and a plaque. However, the burial turns out to be a fiction. The “grave” was fabricated in the 1700s by the owner of the Royal Goat Hotel, who connected the legend to the village in order to encourage tourism. Instead, the village is likely named after a Christian missionary called Celert who settled in the area in the 700s. Beddgelert probably means the “grave of Celert.” Sorry, Gelert. I packed a daypack and set off on a six-mile hike. Immediately, I had to scramble up rocks and mud toward Mynydd Sygyn for the view over the town. The Welsh Highland Railway steam locomotive huffed through the valley, blowing its whistle. Later, I walked along one of Beddgelert’s rivers, Afon Glaslyn, full of rapids and ripples. A beautiful fall day, the leaves turning gold. Along a slippery stone ledge called the Fisherman’s Path, metal handholds were screwed into the rock face for safety. Just outside of Snowdonia, I visited the port town of Caernarfon, site of another of Edward’s castles. 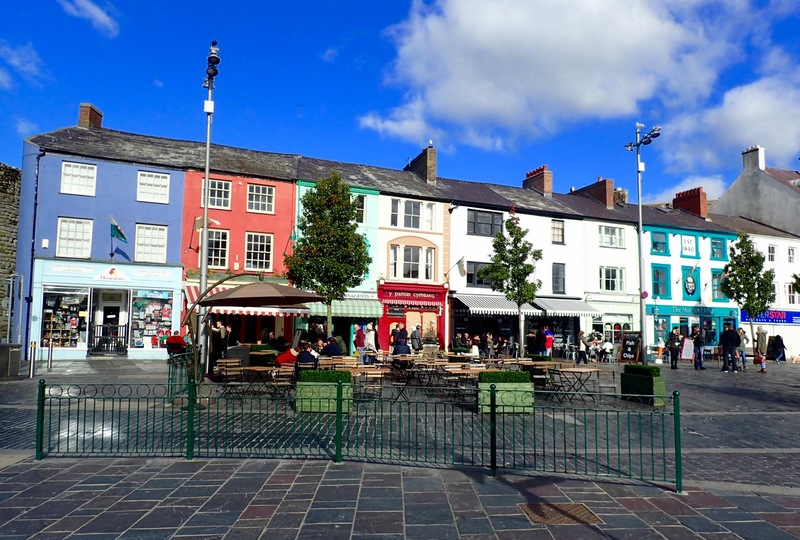 Caernarfon has a population of around ten-thousand, including the largest percentage of Welsh-speaking citizens anywhere in Wales. The town is home to a popular restaurant and hotel with a controversial name–The Black Boy, complete with a caricature. Given the sensitivity toward racial stereotypes I’m used to in the United States, the unapologetic effrontery of the inn’s name and logo was astonishing. 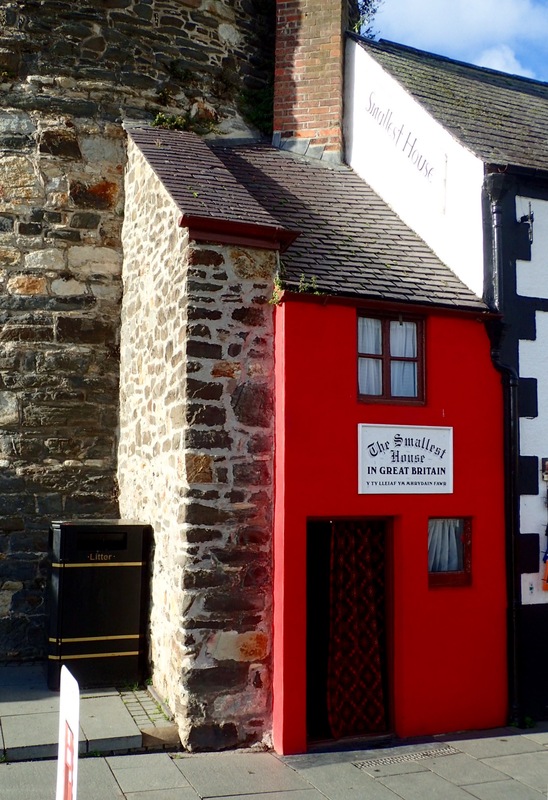 The Black Boy dates to 1522, making it one of the oldest surviving inns in north Wales. The tavern was supposedly named after an African slave known as Jack Black. Jack worked as a gardener, married a Welsh woman and fathered seven children. Some locals claim him as their ancestor. Any business in the United States with such a name, despite its credentials, would feel intense pressure to change it. Although there is still an NFL team called the Redskins. 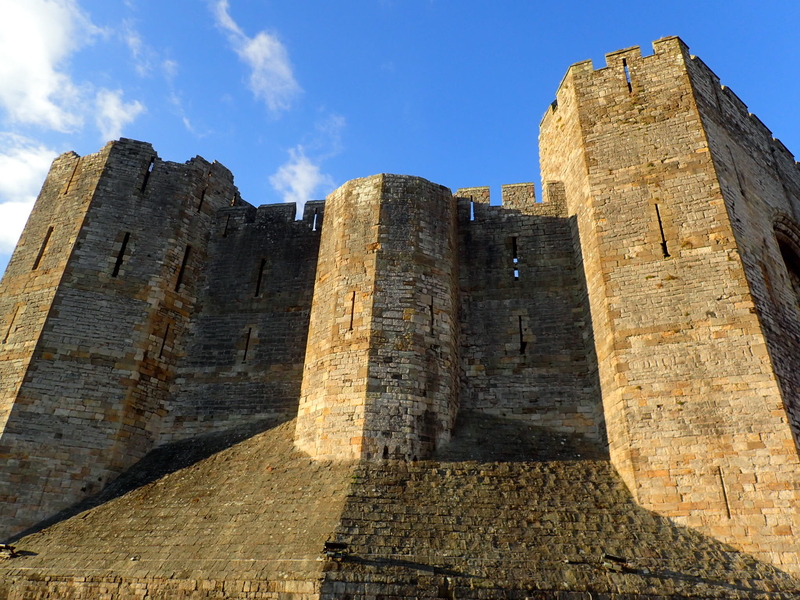 Next day, I toured Caernarfon Castle. It is massive, a brute of a castle meant to send a message to the Welsh that Longshanks was in control. Some twelve centuries earlier a Roman fort, Segontium, stood on a nearby hill. Historians believe Edward intentionally borrowed architectural features for his castle, emulating the Roman emperor who married a Welsh princess and fathered generations of Welsh royalty. To the locals, however, Edward was still an invader. Inside, thousands of ceramic poppies cascaded from the ramparts to the ground below. The art installation promoted the national Poppy Appeal. Artificial poppies are sold each year by the Royal British Legion, the proceeds going to help veterans and their families. Caernarfon Castle has been the site of the investiture of the Prince of Wales twice, the second time for Prince Charles. 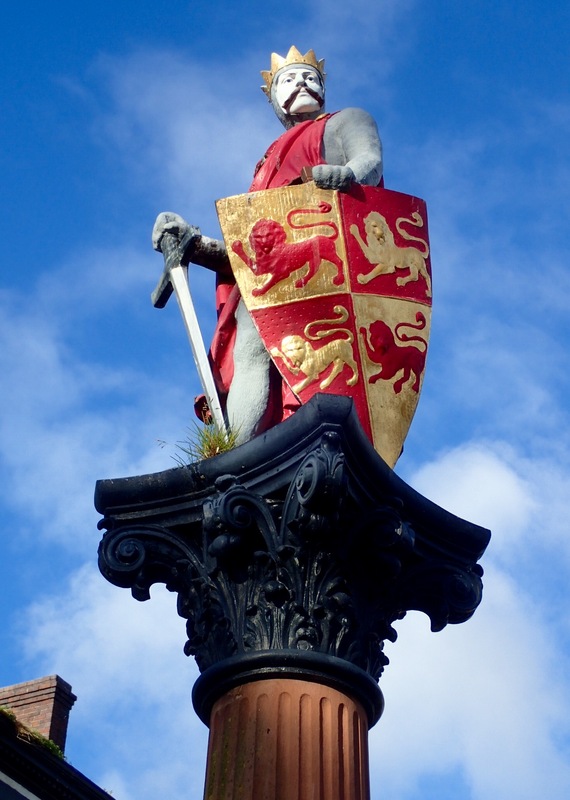 The tradition of investing the heir-apparent to the British throne with the title, “Prince of Wales,” began in 1301, when Edward wanted to demonstrate his authority over the Welsh. The ceremony in 1969 took place in the courtyard of the castle and was televised nationally to millions. During the ceremony, Queen Elizabeth II presented Charles with a royal crown, sword, ring and some other official baubles. Afterward, they waved to a huge crowd from the castle balcony. Most of the Welsh approved, but a few were openly hostile. They associated the ritual with the continued subjugation of the Welsh by the English. More recently, however, a BBC poll indicated the majority of Welsh want to see Prince William invested when Charles becomes king. The castle is also home to the Royal Welch Fusiliers Museum. (Welch is the archaic spelling of Welsh.) The fusiliers were an infantry regiment of the British Army, founded in 1689. The regiment has fought all over the world, including on the British side during the American Revolution. Back in Snowdonia, I toured the National Slate Museum, built around the engineering workshops of the now-closed Dinorwig slate quarry. Slate was first mined at Dinorwig in 1787. In its heyday, the quarry employed more than three-thousand men and supplied slate to the world. In the 1960s, the industry declined. In 1969, when Charles was invested at Caernarfon, he knelt upon a dais of Dinorwig slate. A month later the quarry closed. The museum screens a film, To Steal A Mountain, about the difficult lives of the slate miners. Four Victorian-era quarry-family cottages have been restored. At a slate-splitting demonstration, the quarryman demonstrated how to split with the grain, paring thin sheets one by one. He said shingles must be installed with the grain as well, so as to shed water properly. The older the slate, the more durable. Welsh slate, over 500-million-years-old, is considered the best in the world. The otherworldliness of the slate quarries has attracted film producers. Scenes from From Russia With Love and First Knight, both starring Sean Connery, were shot in Snowdonia, as were Tomb Raider 2, Clash of the Titans, Wrath of the Titans, Willow and The Legend Of Tarzan. 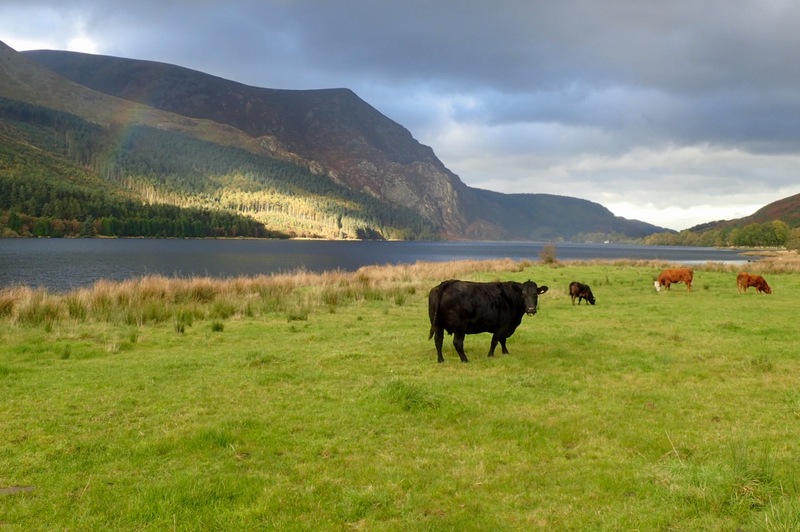 Llanberis, like Geddgelert, is a popular launchpad for hiking, climbing, mountain biking and pony trekking. The longest and easiest path to the summit of Snowdon begins in the village. The section of the Llanberis Path near the peak is called the “Killer Convex.” In icy conditions, unwary walkers have plummeted over the cliffs and died, four of them in 2009. The Llanberis Mountain Rescue Team keeps busy, dealing with nearly two-hundred incidents each year. Annually, runners race from the village to the top of Snowdonia and back again. The distance, roundtrip, is ten miles and, for the faster runners, takes a little over an hour. Llanberis is also the home of the Slateman, a full triathlon that finishes in the mountains. On my day to journey to the top of Snowdon, it was raining. So I took the train. The Snowdon Mountain Railway has been carrying sightseers to the summit since 1806. Soon after the train leaves Llanberis, the track crosses the Afon Hwch where a waterfall plunges into the gorge. The train travels slowly through high meadows covered in bracken and crisscrossed by stone walls. Even higher, it enters huge mountain valleys, green and treeless, with ridges of stone. The conductor rides in the front car, watching for sheep on the tracks. Past the halfway hut, I saw walkers along the trail. Immediately, I wished I had hiked instead. The higher and steeper we went, the more spectacular the views. Two-thirds of the way up, I changed my mind about hiking. We entered a dense bank of fog. Total whiteout. No panoramas. 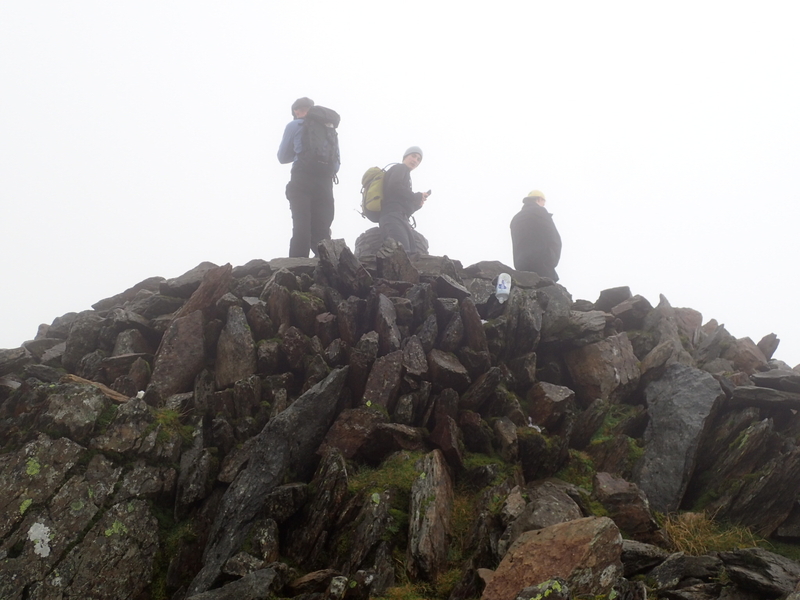 At the peak, I walked up slippery stone steps to the official summit marker. 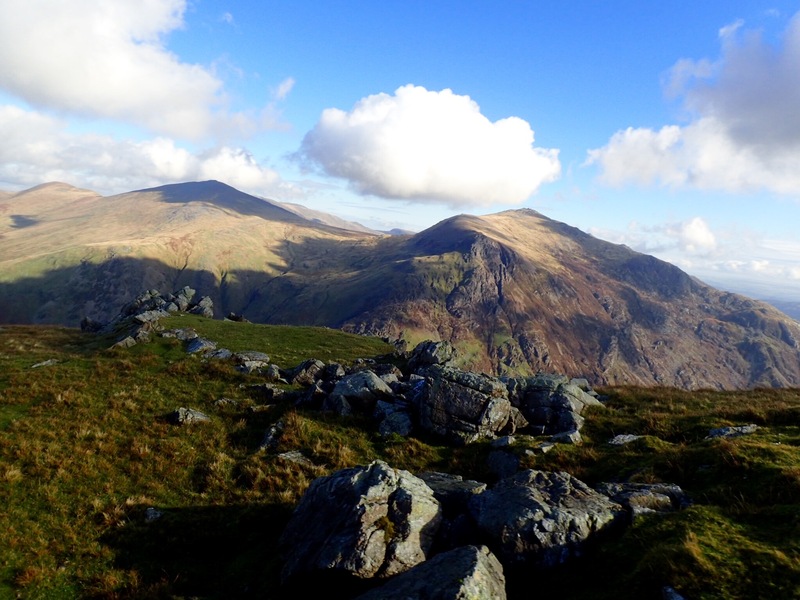 On clear days, Snowdon provides views of England, Scotland, Ireland and the Isle of Man. But not today. A few walkers were taking congratulatory photos of each other against a background of white mist. After a few minutes, the train began its descent. Soon we were awash in sunshine and the views were stunning. Back in Llanberis, I walked to Dolbadarn Castle, a fortification built by Llywelyn during the early 1200s. The castle was an important symbol of his military power. In 1284 Dolbadarn was taken by Edward. Its round tower eventually became a ruin and a favorite subject for painters. The Britons were an ancient Celtic people who lived in Great Britain from 1200 BCE to 400 CE. When the Romans left, the Britons were pushed back by the encroaching Anglo-Saxons. Gene scientists believe the Welsh are the descendents of the Britons. Ancient mythology says the same. The legend of the red dragon goes like this: A king attempted to build a castle on a hill in Snowdonia, but each night the day’s progress was destroyed by unknown forces. The king sought the advice of the boy wizard, Merlin. Merlin revealed that beneath the castle were two sleeping dragons who were awakened each day by the construction. The king excavated the hill and released the dragons, thus allowing them to continue their fight. Eventually, the red dragon defeated the white one. Merlin told the king the white dragon represented the invading Saxons. The red dragon symbolized the native Britons. 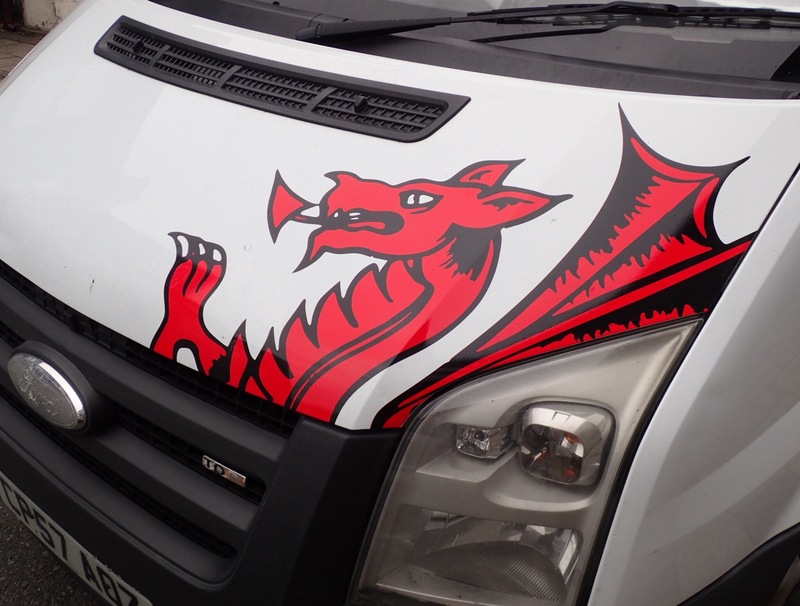 The red-dragon flag of Wales flies proudly throughout the country. Kirk, great post. I’m feeling my own Welsh heritage come out. How long will you be there and where are you going next!! I sensed your presence. 😉 Just got back to the States Tuesday. I’m in Chicago visiting my kids and heading to Columbus soon. Greatly enjoyed Wales, especially Snowdonia. Thanks for reading! Interesting blog and great pictures! Succinct tales of the unexpected from your time in Wales. You’ve covered much ground since we met at Acharacle en route to Mallaig in Scotland. Such interesting travels. Enjoy time with your kids. Thanks, Anne. Great to hear from you.